Mission Pipe Shop is the oldest continuous purveyor of fine cigars, pipes, tobacco and smoking accessories in San Jose. 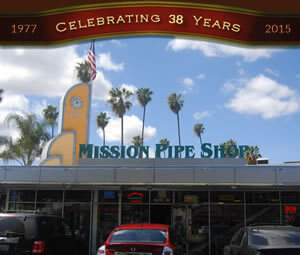 Located in the heart of Silicon Valley, Mission Pipe Shop has been serving North & South Bay customers for over 37 years. Our original location was the old Town & Country Village shopping center, where we lived happily until we were torn down in 2000. We have been at our present location on The Alameda for the past 14 years. If you are ever in the area, stop by and say hello. We are known for our friendly and competent staff. Armed with an arsenal of knowledge and good humor, our staff is what makes your trip to Mission Pipe Shop a pleasurable experience. On a cool spring day in San Jose AJ, a long time pipe smoker and in-house blending expert, stands at Mission Pipe Shop's tobacco bench working on his latest creation. He makes notes in a decades old receipt book as small batches of his latest blend are mixed together and labeled for tasting. This new blend is not for him; rather it’s for a customer whose favorite mix has been forever discounted due to availability issues of a key aromatic. 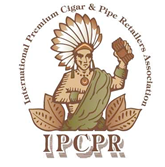 Any real pipe smoker will tell you that losing your favorite blend is like losing a friend. That’s what this customer was recounting as he desperately searched for a substitute. 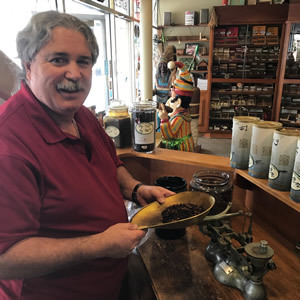 Little did he know that AJ has matched and created custom blends for Mission Pipe customers over the years that were faced with just such a dilemma. Since 1998, Peterson of Dublin has released a special, limited edition St. Patrick's Day pipe each year, featuring many of the brand's most popular designs, finished in a singular style unique to that edition. Yet in that 21-year span, the marque's famed System pipe has yet to make an appearance ... until today. 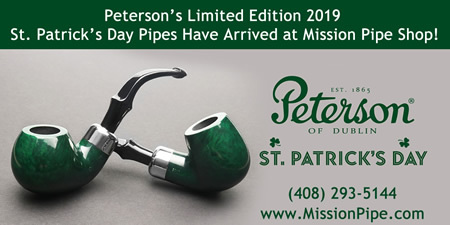 This year's St. Patrick's Day pipe is the first to feature Peterson's patented System drilling, featuring a higher draft hole and a deep moisture well to promote a gurgle free smoke. Available in several best-selling shapes, split between P-lip and fishtail bits, 2019's edition also dresses those popular shapes in a deep, emerald green stain, perfect for celebrating the Irish holiday. The Racing Green series are sure to catch your eye! Mission Pipe Shop has just received our limited stock of these fantastic pipes. Stop by to purchase one today. These beautiful pipes will also soon be available to purchase online at MissionPipe.com.